Jandek is a musician, presumably from Houston, Texas. Since 1978, he has self-released 70 albums of unusual, often emotionally dissolute folk and blues songs without ever granting a real interview or providing any biographical information. Jandek plays a very strange and frequently atonal form of folk and blues music, often using an open and unconventional chord structure. Jandek's music is unique, but his lyrics closely mirror the country blues and folk traditions of Eastern Texas. Jandek plays a very strange and frequently atonal form of folk and blues music, often using an open and unconventional chord structure. Jandek's music is unique, but his lyrics closely mirror the country blues and folk traditions of Eastern Texas. Barely a handful of people claim to have contacted Jandek, whose steadfastness in anonymity is legendary. Without any conventional attempts at promotion, he releases albums through his own record label Corwood Industries, which is addressed at a Houston post office box. Fans can write to Corwood for a typewritten catalogue and order Jandek's albums, usually at inexpensive prices. Jandek's work has been available on vinyl and on compact discs. Many of his albums feature pictures of the same young man (seen above) at various ages; in light of Jandek's live performances it is almost entirely certain that the person featured on the album covers is Jandek himself. Jandek's first album, Ready for the House (1978), was first accredited to a band called ?The Units? but it was obviously a solo work. 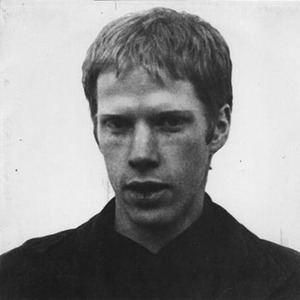 Jandek presumably plays acoustic guitar and has recorded much of his work apparently unaccompanied (assuming that the person singing is also the person playing guitar). However many other songs feature female vocals and/or different male vocalists. Others feature bass guitar, electric guitar and/or drums, presumably played by collaborators. No proper credits list has ever appeared on an album, but song titles have included "Nancy Sings" and "John Plays Drums". Some of Jandek's allure stems from his small but devoted fan base which has included Sonic Youth frontman Thurston Moore, Kurt Cobain, Indian Jewelry, and K Records founder Calvin Johnson. The mystery of Jandek's identity was partially resolved in October 2004 when Jandek performed live in Scotland, at the Instal 04 music festival in Glasgow. This was Jandek's first known live appearance and performed with Richard Youngs (bass) and Alex Neilson (drums). The man on stage was obviously the same man who appears on the album covers. Corwood stipulated that the performance was not publicized in advance. Since then, "The Representative of Corwood Industries" (as Jandek sometimes insists on being called) has played a lot of concerts and recorded all of them for future releases. The last years have seen an even higher release frequency, even for Jandek. A documentary film, called simply "Jandek on Corwood," released prior to the artist going "public," is a wonderful insight to the early years of the enigmatic recording artist. (Albeit, the film may also have been a "publicity stunt," perfectly timed to generate interest in the artist before he went public).